Once again, I still don't have any finished pots to show you. I just got back into the swing of clay. I have not done any glazing for nearly two months. Why? I got all kinds of excuses. 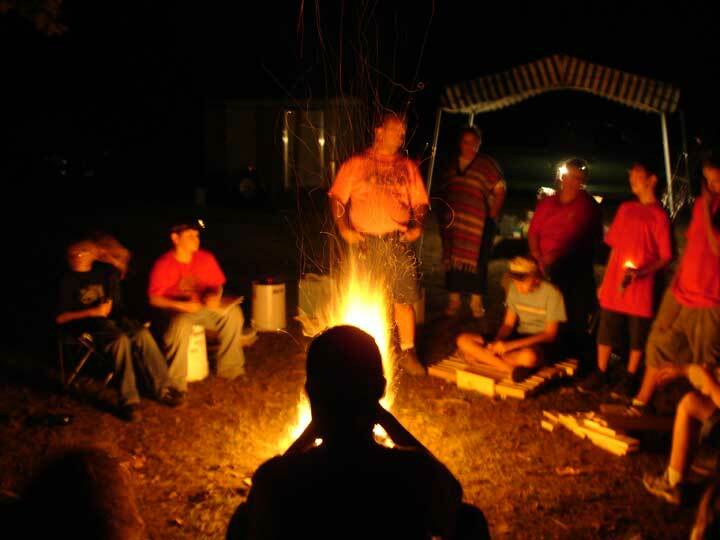 How about camping with the scouts? 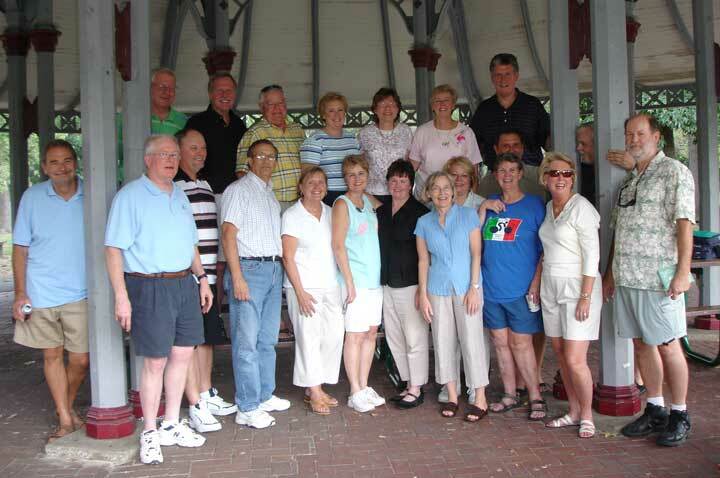 Organizing a 45th grade school reunion? Actually, what has been really eating up all my time is the creation of a new bathroom and kitchen. I have been on it for six weeks and I don't even have a picture of it! Inspiration is all around me. 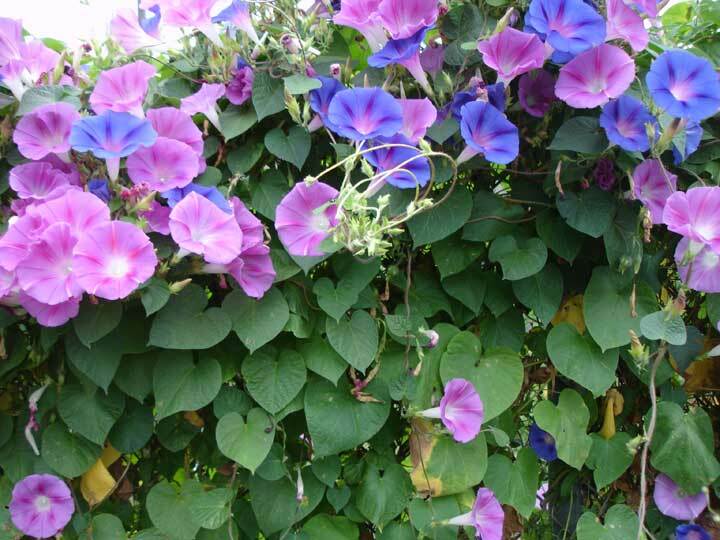 Love those morning glories. 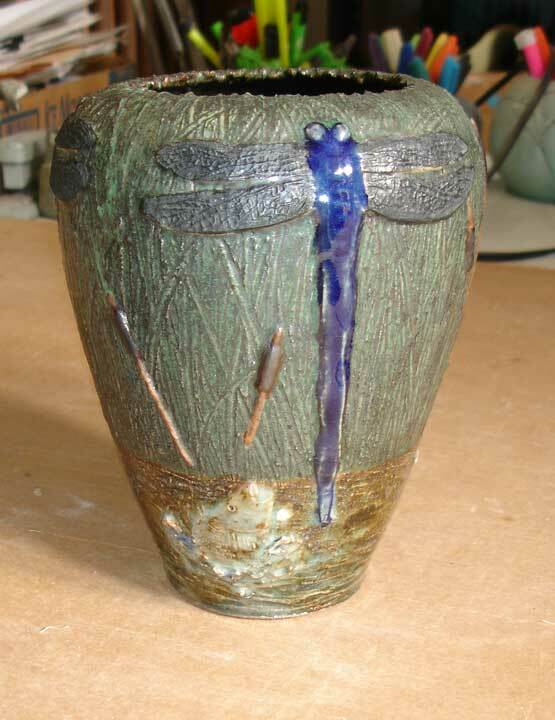 I had a chance to purchase one of my first dragonfly pots. My glazes have been sitting so long there is something growing in them. I found a "biocide" that I have to start using in my glazes. 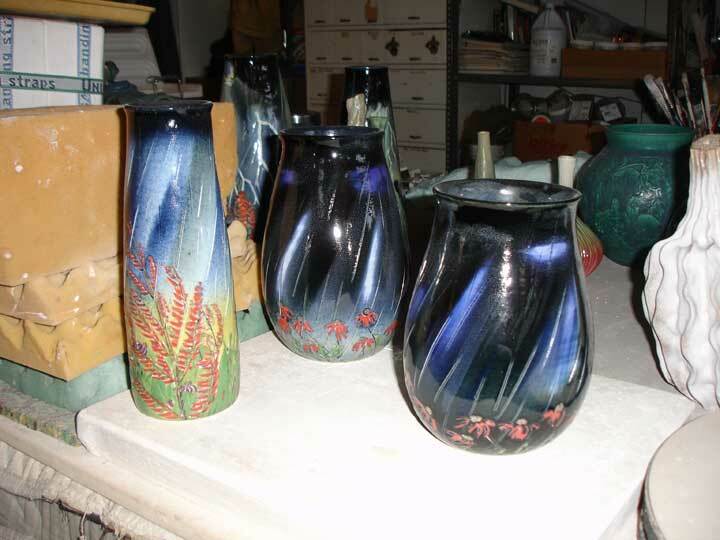 I remixed a number of the glazes and still have to do a number of the smaller bottles. 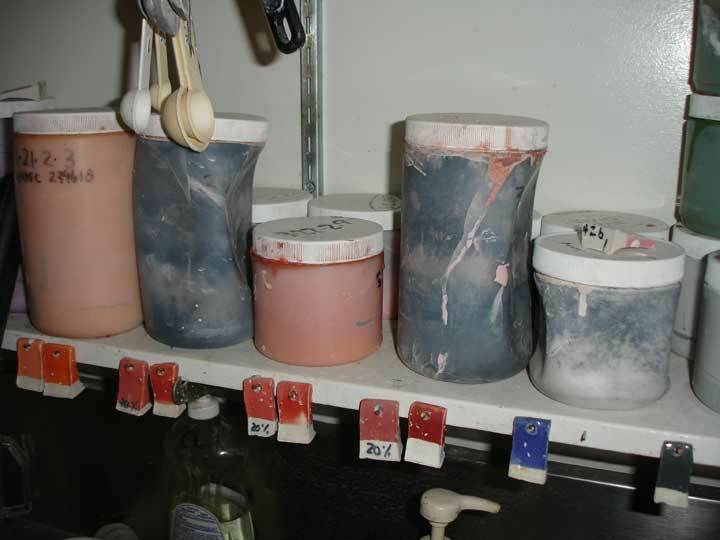 Something that mystifies me is that when the glaze bottles have something growing in them, the bottles tend to collapse. I would think that the bottle would expand. What do I know? 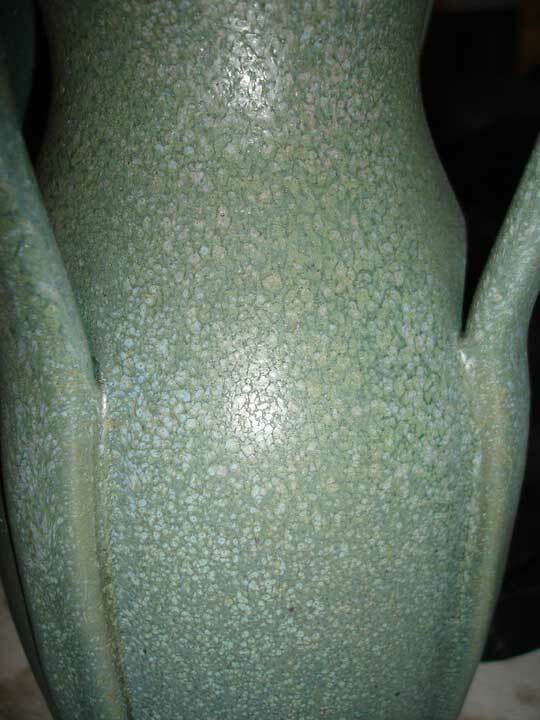 These rain pots were designed to be reglazed and refired. They are intentionally weak looking. They will need another layer of glaze. 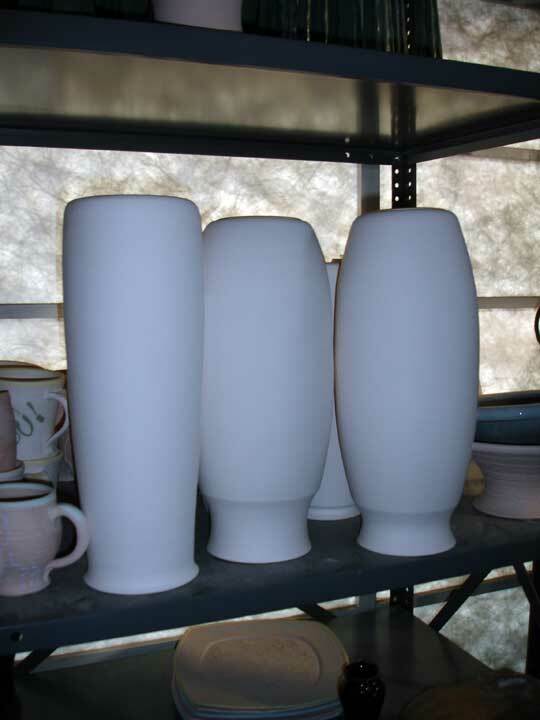 I have a load of nice big A&C shaped pots that need glaze. I do have a second on-line gallery. 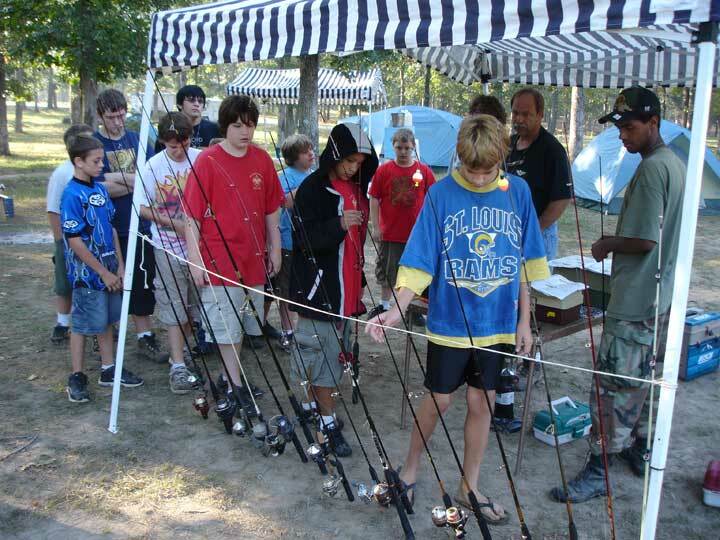 It is on a web site called "Vasefinder". 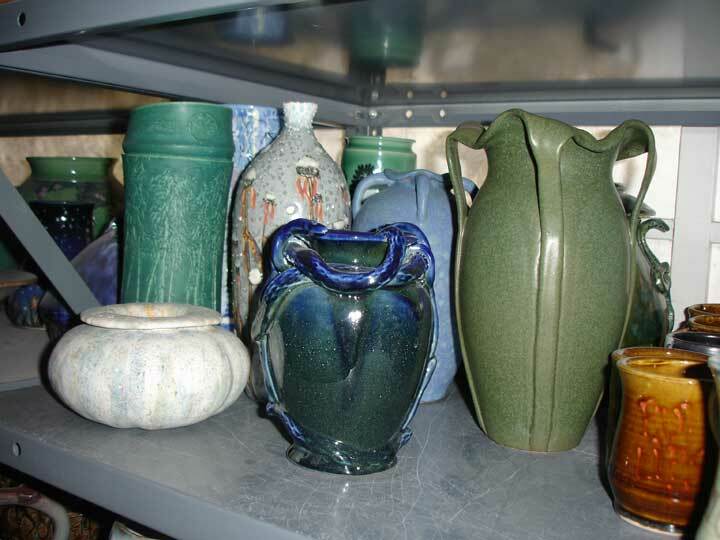 Vasefinder is quickly becoming "the" reference site for American studio potters. Spend some time on the site. I have ten pots in the gallery. I have to sit them in a group on a shelf by themselves- pictured below. It is easy to confuse pots that are "sold" with those that are not. 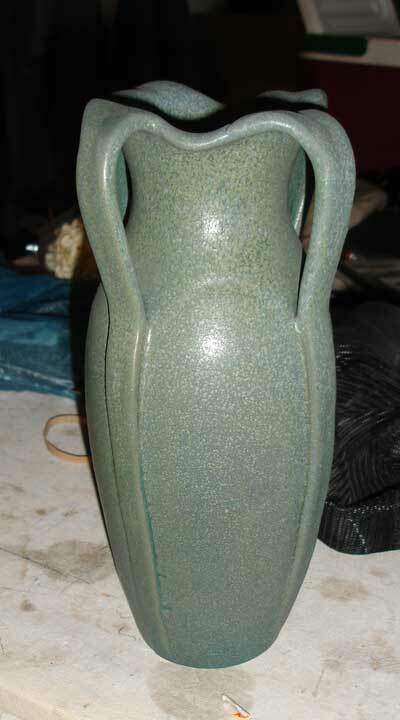 In fact, the four handled green pot (#1147) on the right of the picture below is marked "Sold" on the Vasefinder gallery, when in fact, it is not sold. It is 300 to your door should you be interested. This just came out of the kiln. It is a wonder piece, but unfortunately it has a number of structural problems because of the repeated firings.